Paul Julius Nunda, better known by his stage name Jua Cali (born 12 September 1979), is a Kenyan hip hop rapper. In 2000 together with producer Clemo they founded Calif Records where Jua Cali has stayed since. 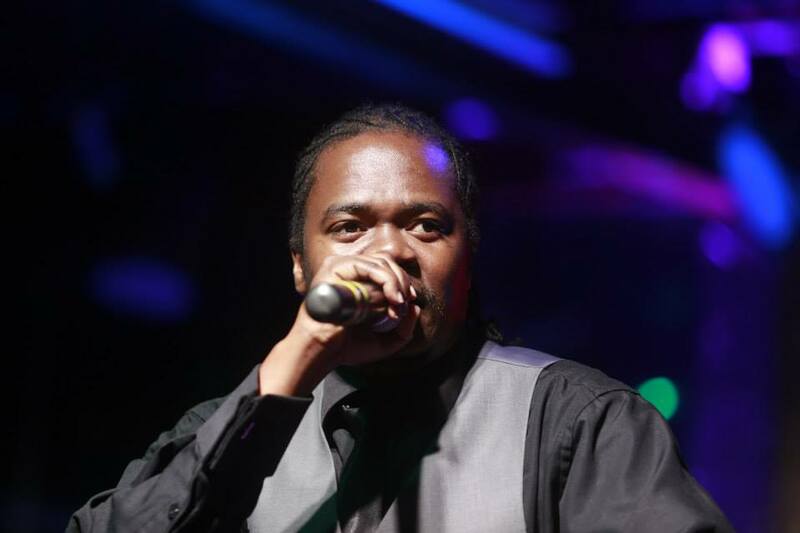 Jua Cali performs in Kiswahili and Sheng in a popular Kenyan style of rapping called genge. Jua Cali was born in Eastlands, Nairobi. His parents, Doreen Onditi and Evans Onditi (deceased) were both schoolteachers. He grew up with a strict Catholic upbringing in California Estate to the east of Nairobi city. He began rapping at age 10, encouraged by his elder brother Christopher Sati. He was known as an introverted teenager who was often quiet, hardly ever socializing. His first recorded track was Ruka, released in 2001 and was followed by Nipe Asali in 2002. In 2004 He collaborated with Pilipili in track "Kamata Dame". Like most Kenyan artists, it took several years before his first full album was released. His album "Juacali Sekta" reached the stores in 2006, containing mostly previously released singles. His single Kwaheri (featuring Sainapei) was a major hit in Kenya in 2007. At the New Year's Eve 2008/2009 he released a new album, Ngeli ya Genge. He has toured the US and other countries. In August 2007, he was among 100 most influential Kenyans as selected by The Standard newspaper. His stage name Jua Cali, is derived from California, an estate in Nairobi (as is the name of Calif Records). It also resembles Jua Kali, a Swahili term meaning fierce sun, which has been taken to refer to Kenya's informal sector of the economy. Besides being talented, he's a commercial success, thanks to his appeal to the young and the not-so-young alike. For instance, he became Kenya's first artiste to get an endorsement deal when in 2007 he signed a reported Sh1-million-a-year deal mobile phone giant Motorola for its W model. And, according to the company, he was quite a catch. " Jua Cali is part of the Motorola family, and we are honoured to have worked with him in the recent past," says Joanne Doyle, the marketing manager for East Africa. "He has been a great ambassador and, like Motorola, he is all about creativity, style and substance, so we could not be happier that his hard work has been recognised at the prestigious Kisima awards." Juacali is arguably today’s most successful artist in the Kenyan music scene as far as endorsements and pay per show income is concerned. Early 2009, Telkom Kenya appointed him as the Orange Ambassador for their youth market and began his one year sh10-million shilling contract by fronting the ‘hello tunes' advertising campaign. Following the successes by the Kenyan Rugby Sevens team, Orange went on to shoot a series of infomercials on Rugby featuring top Kenya rugby players and the genge artist. Also featured in the informercials were label mates Mejja, Jimwat and their producer Clemo. Pamoja Mtaani, Swahili for “together in the hood” is a new video game in Kenya developed by Warner Bros. Interactive Entertainment. Its basically about a youth band together making their way through a maze of challenges throughout the East African city. The game has a subtle but deliberate agenda: HIV prevention. Players do not directly confront the threat of HIV; instead, they encounter challenges throughout the adventure that lead to lessons about risk and self-confidence. Jua Cali recorded the video games anthem “City in the Sun”. The artiste has also been involved in other major advertisements such as Protex bath soap and Pilsner beer, and the deals have raked in big cash. He's also the Bloodlink Foundation Kenya ambassador. Bloodlink Foundation Kenya is a non-profit charitable trust established in Kenya seeking to assist Kenyan people achieve better health and improved quality of life through patnership with communities, corporate organizations and public sectors. 2007 Kisima Music Awards - Best Male Artist & Boomba Male. 2008 Chaguo La Teeniez Awards - Favourite Male Artiste & Best Live Stage Performance & Best Collabo Song ("Kwaheri" with Sainapei).